Exclusive! "Bark, the herald angels sing!" 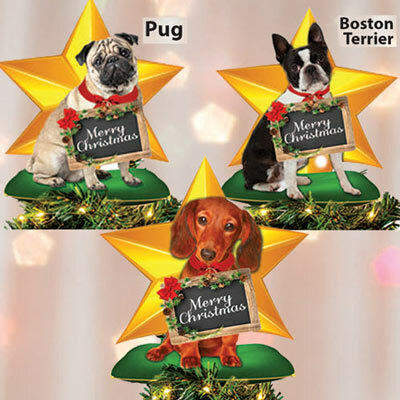 A fun addition to the holidays, this unique laser cut Best Friend Tree Topper features your favourite pooch sitting on a lush pillow framed by a shining star. Mounted coil holder. Metal. 9"h.